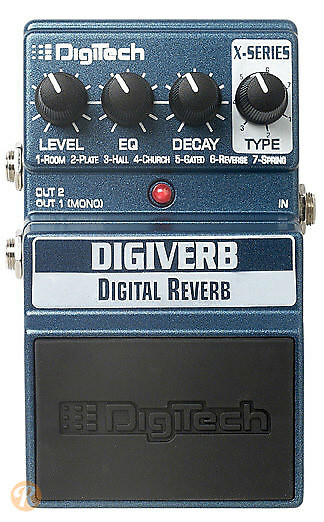 The DigiTech DigiVerb is a digital reverb pedal with seven reverb effects. The effects include Room, Plate, Hall, Reverse, and Gated. It contains a level knob, EQ control, and decay control.